Sara Collins is a normal 12 year old girl with an abnormal secret: she is psychic. Sara has had her abilities for as long as she can remember, but she doesn't like to talk about them. She hopes that if she ignores them, they might go away. Sara wants nothing more than to have a normal life, and to her "normal" doesn't include anything paranormal. But Sara's abilities aren't going away... In fact, changes are happening in Sara's life that will make her abilities even more powerful. Her life is about to be turned upside down because she's moving across the country with her dad to an old shore town in New Jersey. 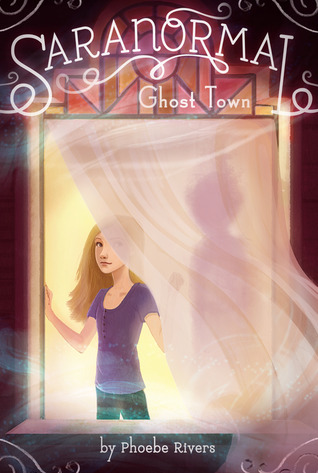 A shore town with a lot of history... and, unfortunately for Sara, more than its fair share of ghosts. An intriguing series of moderately short chapter books which combine adventure, fantasy & paranormal themes with a punchy young heroine trying to grapple with some normal (and some not-so-normal) teen issues.